If you are running a small business or restaurant, the last thing that you need is to lose customers due to plumbing problems. Customers don’t like to deal with smelly odors emanating from your pipes, and if they encounter these things in your restaurant or business, they aren’t likely to return. Whether or not that is a common occurrence at your business, it’s not likely for them to give you another chance. Things like a cracked pipe, backed-up drain, leaks, or other small problems can become bigger and hurt your business. 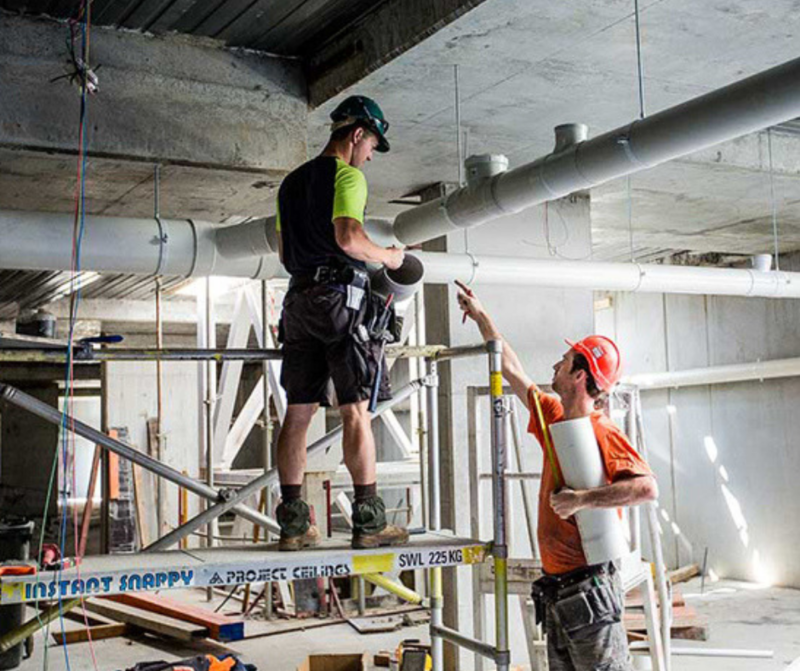 Commercial plumbing can call for in depth knowledge and experience to ensure that the quality of work is to standard and the work performed passes all inspections without hurdles. With our professional team we consistently instill industry knowledge into frequent routines in order to enhance the work efforts performed in commercial plumbing, pipe lining and air conditioning services. We believe in providing the best service for you while minimizing headaches! If you need any of our services at your small restaurant or business, contact True-Pros today. 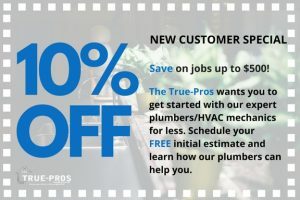 Why Choose True-Pros as Your Commercial Plumber? When you have any plumbing needs for your business or place of work, if you choose to work with True-Pros, you will always be taken care of. Our commitment is to keep you informed of any plumbing problems you might have, and the solutions that we are able to provide. We will never pressure you into unnecessary repairs, or withhold any information from you. When it comes to choosing the right company to work with there are a few variable to consider that will allow you to align your needs with the proper technicians whom can service you in the most effective way. First, always be sure that the company is certified and insured which will allow you to be protected in the event of any problems that occur unexpectedly during the course of time that work will be performed. Second, ensure that the company is prepared with experience in the industry, this will justify the fact that if any unexpected events occur then technicians will be able to overcome the hurdle without any major issues and will persist with projects no matter what the conditions are. Lastly, be sure to get referrals to ensure that the quality of service and work performed is to par and the satisfaction meets your standards. The True-Pros prides themselves on the quality of work performed while maintaining the highest level of respect towards others, we truly believe that our services make a positive impact on the community and we stand for doing the right thing, 100% of the time! We look forward to working with you and appreciate you visiting our page!